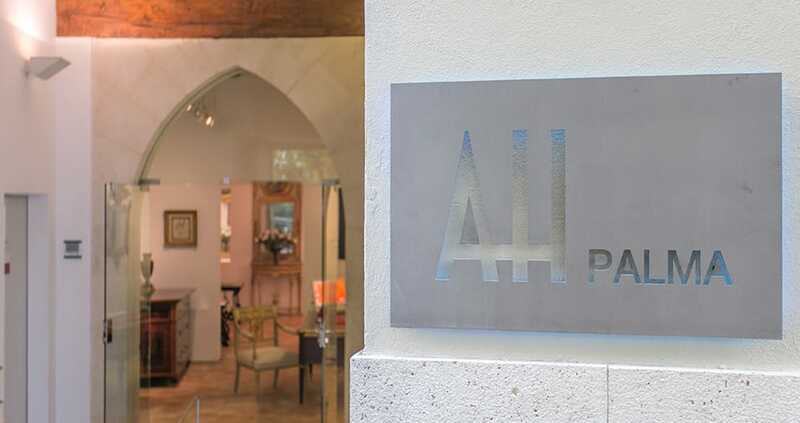 The Art Hotel Palma fully lives up to its name as the hotel’s concept is to “exhibit” 100% original artworks and antiques and the building was formerly an antiques shop – run by the present hotel director. 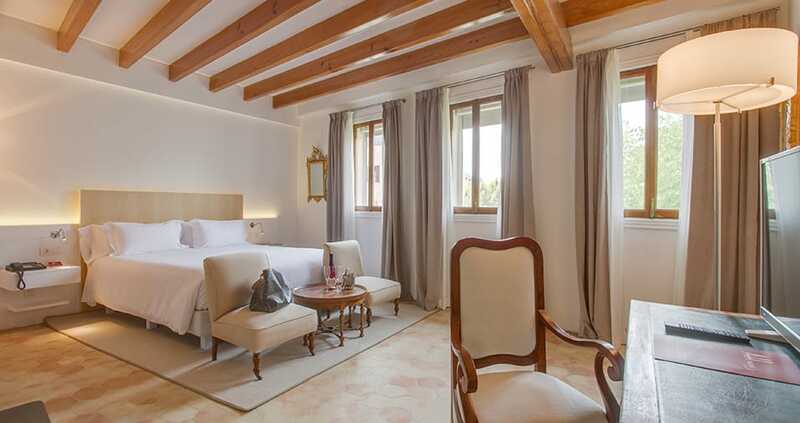 The collection in the hotel ranges from Venetian dressers with each piece being one-of-a-kind modern works of art, some even by Miró which form a fascinating contrast to the antique furnishings. 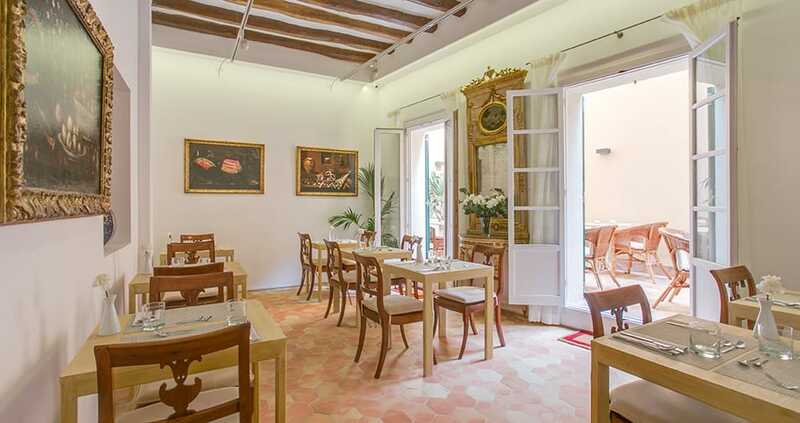 Guests are given a warm welcome at the small reception and the intimate atmosphere as well as striking interiors are immediately noticeable. 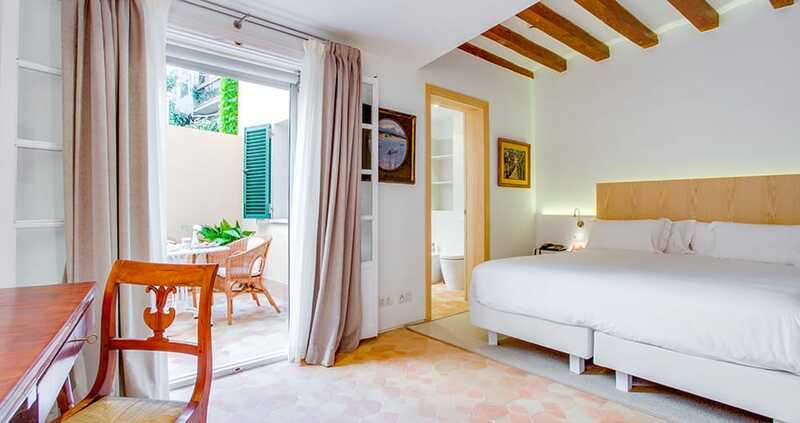 The hotel is situated directly by the Rambla in Palma’s centre, only a few metres from the stairs to the Plaza Mayor where there is also a multi-storey car park where guests can park. 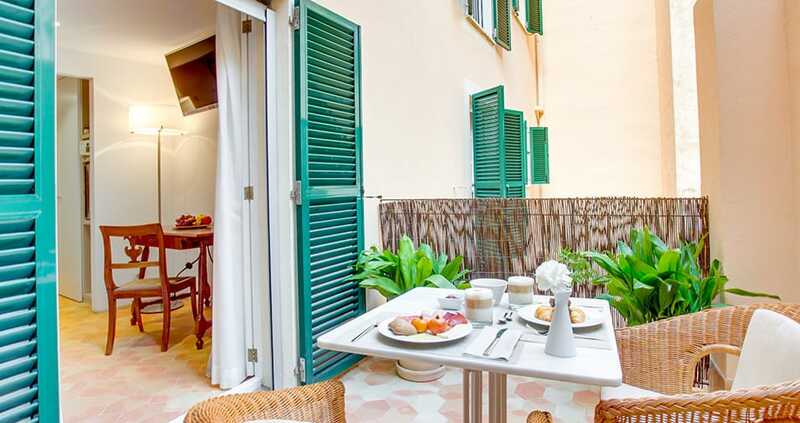 As one of the biggest boulevards in Palma, the Rambla is famous for its many flower stalls and they offer an immense array of smells and colours. The area also has an abundance of restaurants, cafés, bars and shops. Exploring the hotel is a real pleasure in itself as you can look at “the best furniture pieces in Spain”, or so claims the Hotel Director, and he may well be right. 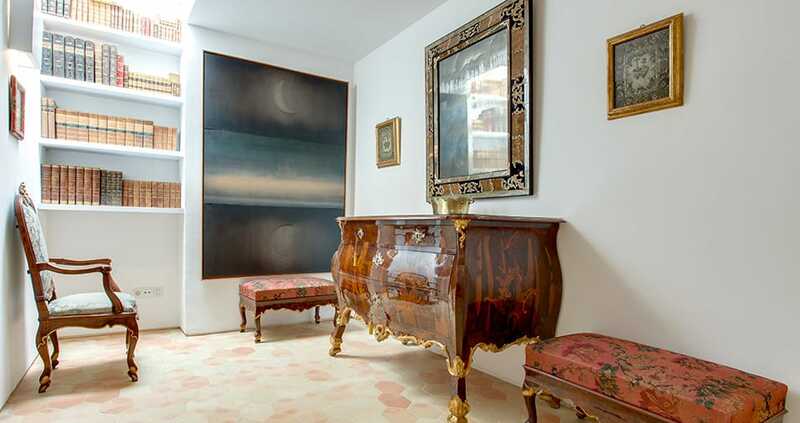 The collection includes countless antiques with the dressers, mirrors, vases and various other items, all with their own story to tell, being particularly notable. 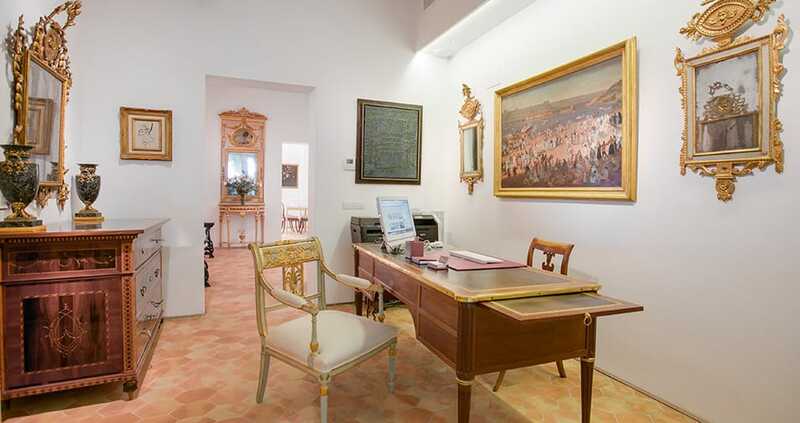 The Arxiduc Lluís Salvador suite, for example, features an original dresser by one of Mallorca’s most notable chroniclers. 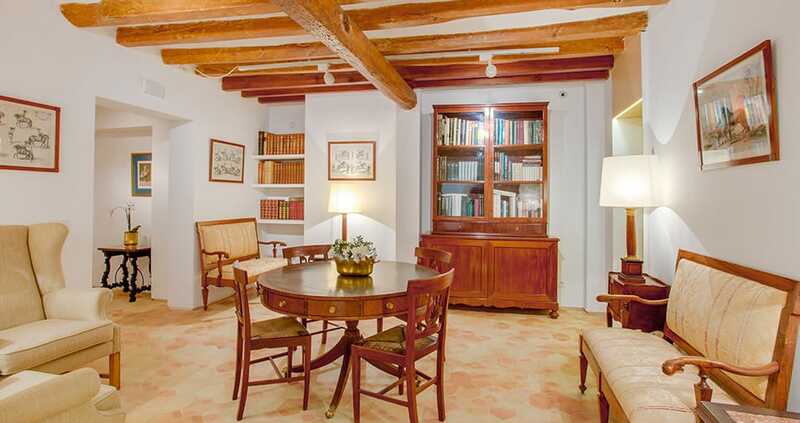 A small and cosy library with a very grand ambience is the perfect place to relax or, alternatively, take a walk along the Rambla and the surrounding streets of central Palma. Inhale the wonderful fragrance of the many flowers. 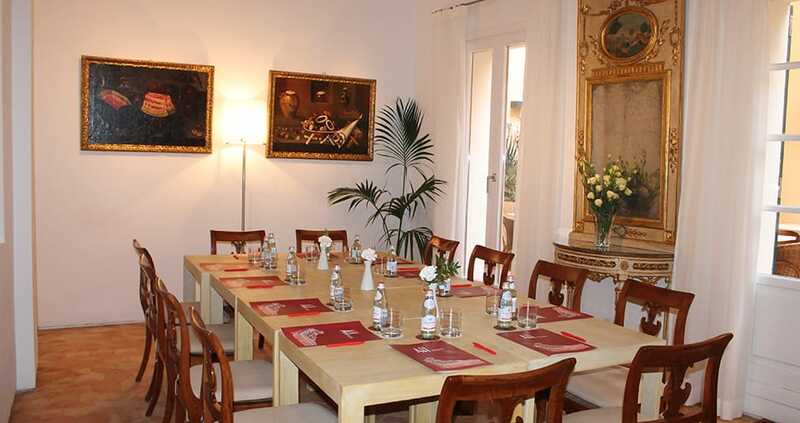 The small, intimate hotel only has 13 rooms which are characterised by beautiful works of art and unique furnishings as well as the latest facilities. 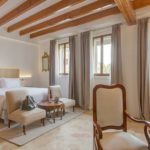 All rooms and suites have large beds with anti-allergy bedding, spacious baths, televisions, bathrobes and slippers as well as Nespresso coffee makers. 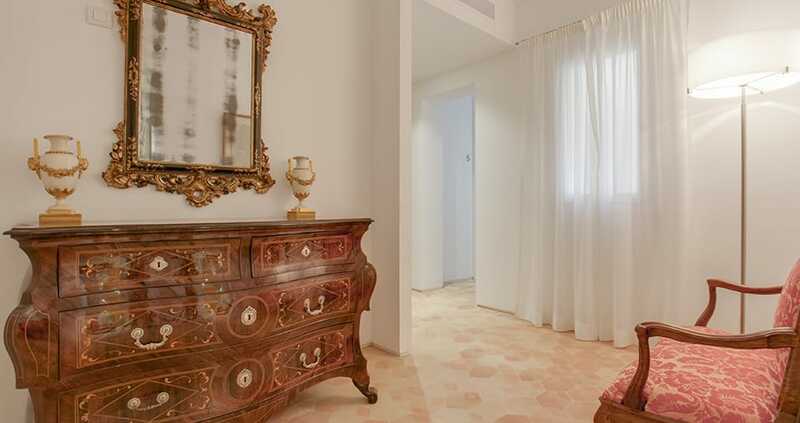 Rooms are cleaned daily and towels and bed linen can also changed daily, upon request. 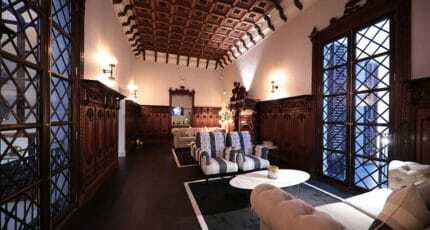 The minimalist style – white walls and exposed beams – steers the attention even more onto the furnishings. 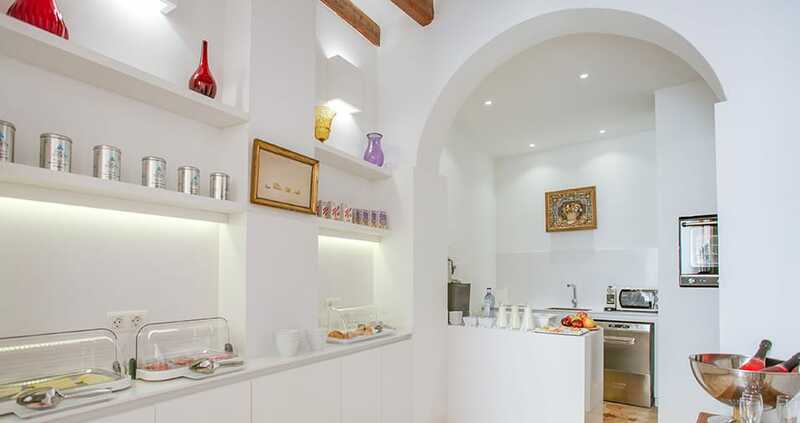 Some rooms offer a view of the Rambla whilst others face the inner courtyard to the back. The windows of the front rooms are sound-proofed which ensures a peaceful night’s sleep. 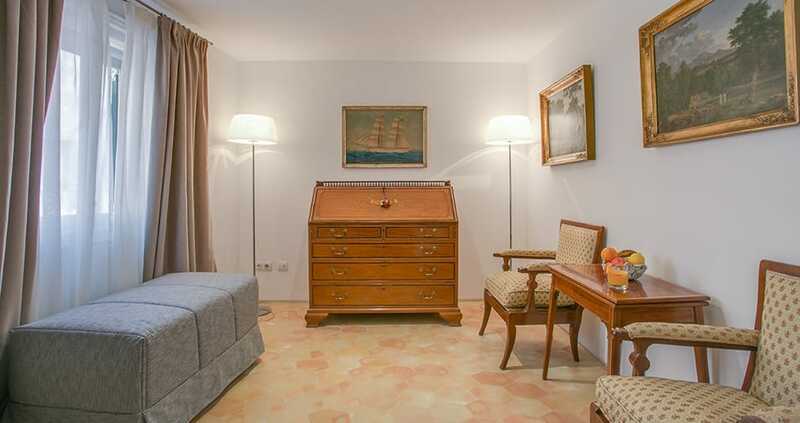 Double rooms are a spacious 23m² and these, too, feature numerous antique gems. 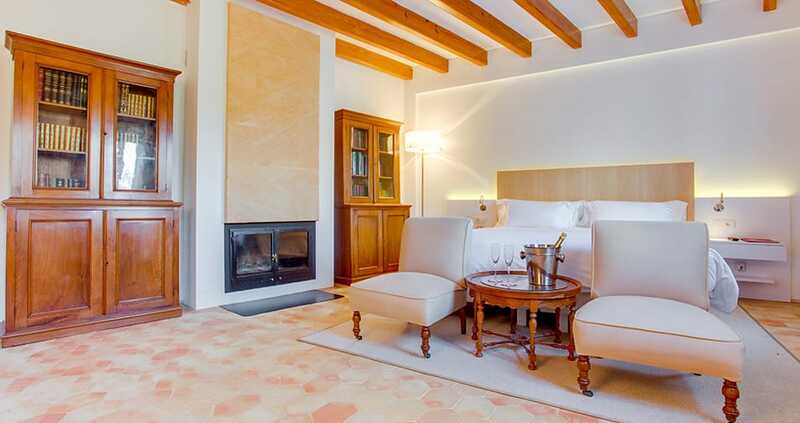 The 40 m² Junior Suite with terrace is perfect for enjoying outdoor living and relaxing. 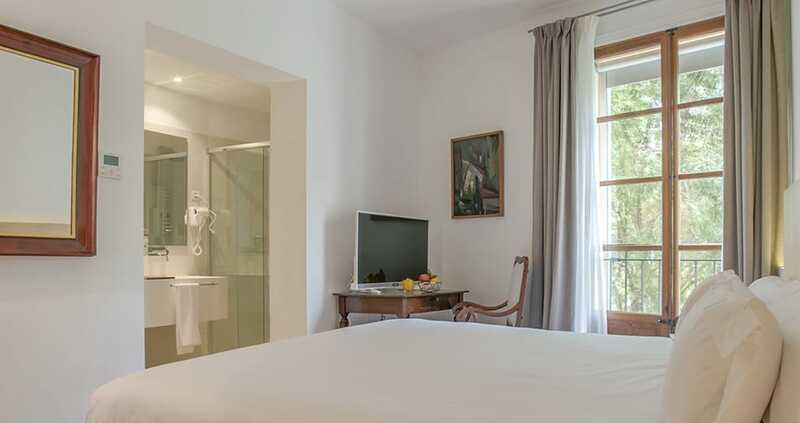 The three suites, meanwhile, one of which is dedicated to the aristocrat and archbishop Despuig, are a little larger at 43m² with the space most noticeable in the bathrooms. 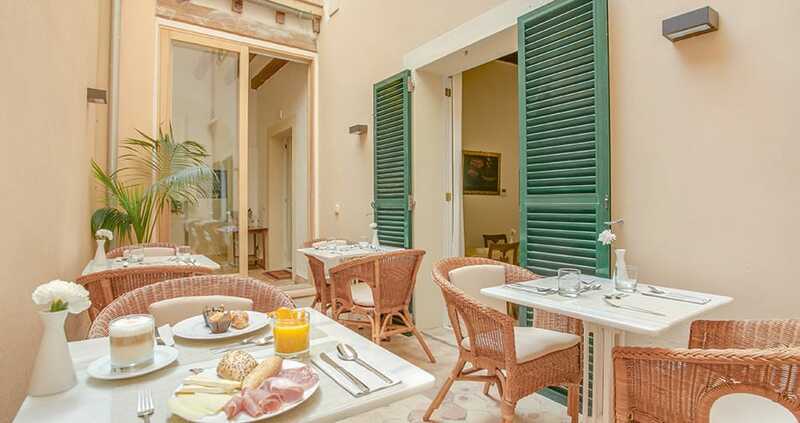 The hotel doesn’t have a restaurant or bar but does offer a good continental breakfast although you do miss an Italian-style morning coffee here. 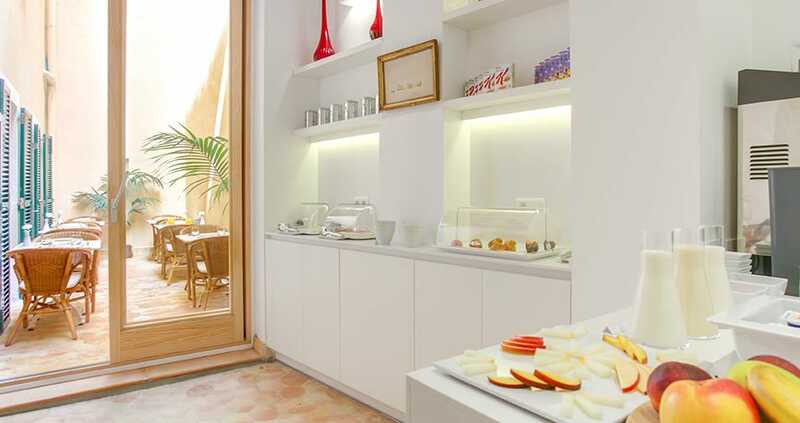 There are, however, numerous cafes and restaurants nearby which all offer plenty of other good alternatives. 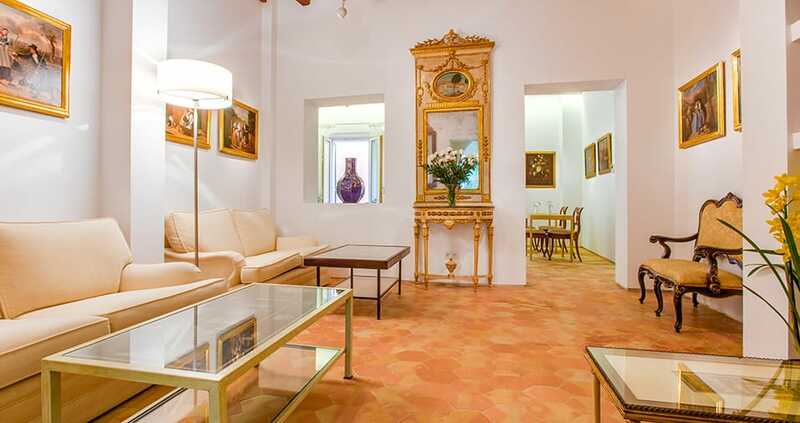 The hotel is located in the heart of Palma which makes it the ideal base for exploring the Old Town as well as the numerous bustling squares such as the Plaza Mayor, Plaza Cort and Plaza del Mercat. 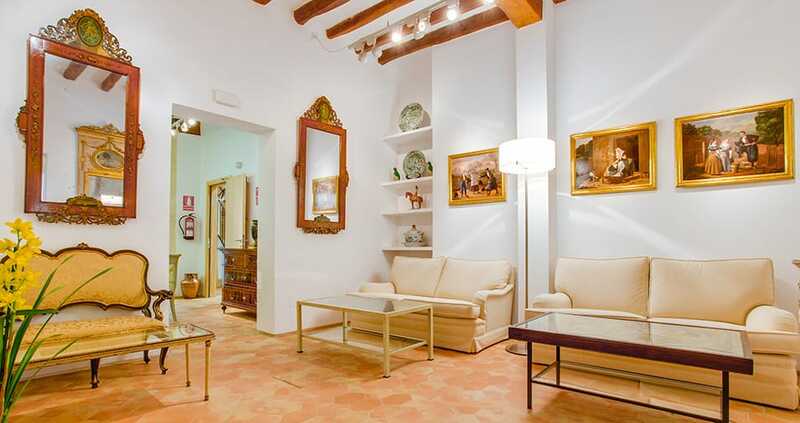 There are also plenty of shops nearby and the Jaime III and Paseo del Borne shopping streets are both within 300 metres. The Teatro Principal which presents major operatic, ballet and theatre productions, is directly opposite. Numerous attractions such as the cathedral and the Royal Palace of Almudaina are also only a short walk away. The hotel provide information to their guests with plenty of routes around the island, excursions and must-see attractions. 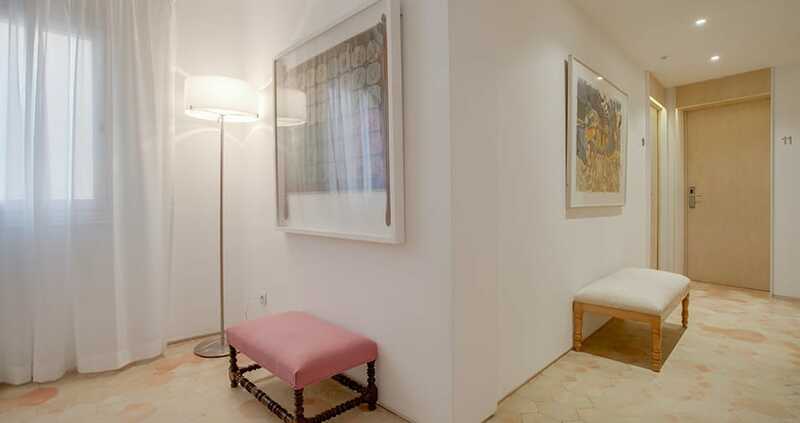 Unique furnishings and art, modern facilities and the perfect location for exploring the city. 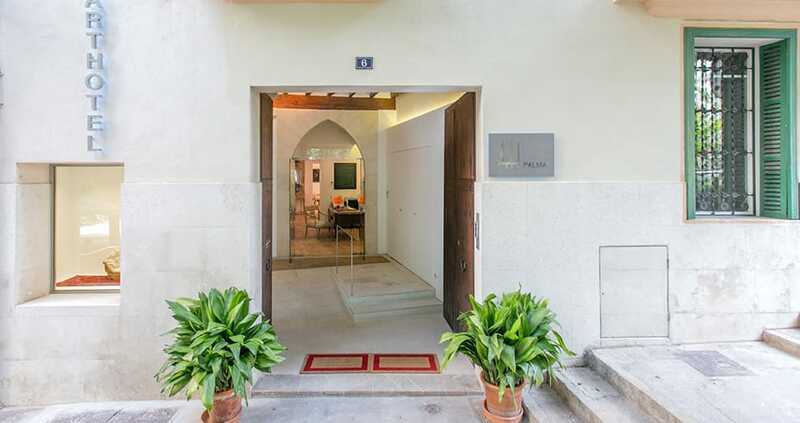 We hope you have found this article about the Creative Art Hotel Palma useful and that you have many memorable stays in Mallorca as a result of our recommendations.